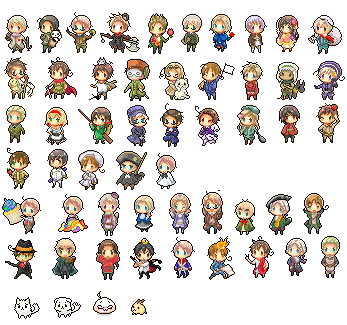 hetalia - axis powers Sprites. Characters may vary, since this is my collection.. Wallpaper and background images in the hetalia - axis powers club tagged: hetalia pixels sprites. This hetalia - axis powers fan art contains sino, sino, forma de sino, campana, and forma. There might also be sino da igreja and sino de igreja.